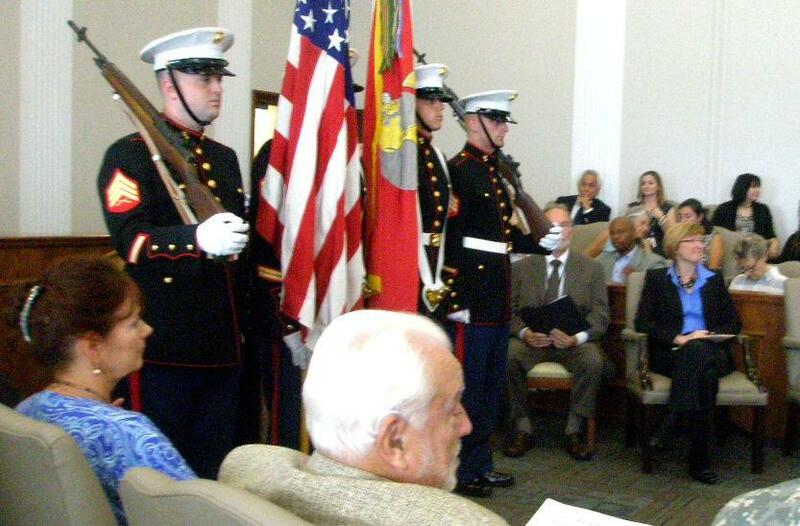 U.S. Marine Corps honor guard at ceremony dedicating new Veterans' Drug Court. Retired Jackson County Circuit Judge William Mauer and current Judge Peggy Stevens McGraw prepare to speak. Dr Jim Sanders, KC Veterans Administration Chief of Staff, says treating underlying causes of minor lawbreaking will let veterans and society win. The Missouri State Court serving much of Kansas City and The Veterans’ Administration Medical Center have inaugurated the region’s first drug court veterans’ program. The core premise is immediate intervention after an arrest in Jackson County. 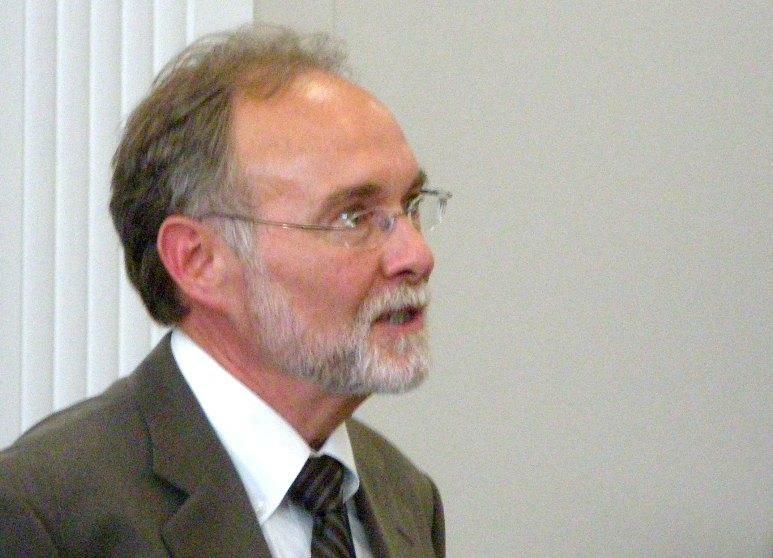 An avid supporter of both drug and veteran’s court programs, Missouri Supreme Court Justice William Ray Price cited human costs of jailing offenders with a 44 percent chance most will be back in jail within two years. 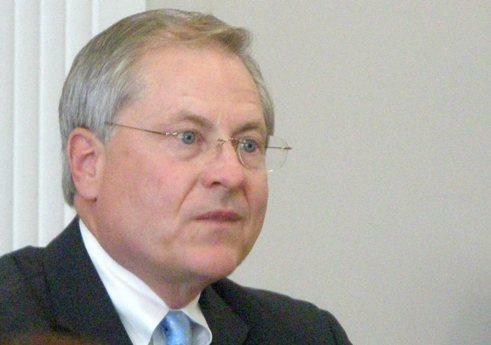 Justice Price, who intends to retire in August after 20 years on the high-court bench praised former and current Jackson County Prosecutors who started and administered the drug programs. Price singled out an originator, Claire McCaskill, now a U.S. Senator, and incumbent Prosecutor Jean Peters Baker. Price said McCaskill took a significant political risk pressing forward with a program that had many critics. The program requires all veterans taking part be supervised by a Missouri Probation Officer. Those who take part to avoid jail will have supervised treatment at VA Medical Center. Diversion cases will last at least a year. Both prosecutor and defense lawyer will decide any unique terms for diversion before the veteran begins treatment.